Farewell to Joe…Dr. Ross Levine on CHZ868… A song for Harvey… JAK chat over coffee…. And TSR: Is interferon safe for JAK negative patients?….Dollars for Docs, Sunshine lights up drug companies’ payments to physicians…What PRM-151 was waiting for…CR&T offers weekend bonus to registrants….plus news & features & 211 patient-recommended hematologists. 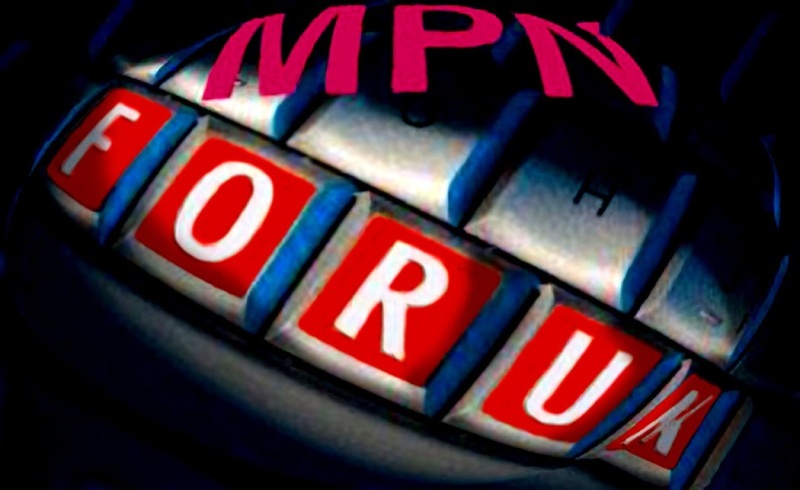 Tomorrow, Wednesday, September 16, this will become the home page for www.mpnforum.com but meantime the “Return to contents” link at the bottom of each story will not work. Please use your back arrow. About 4 1/2 years ago Dr. Silver was telling me that Pegasys would help keep me stable. It can keep blasts down and help shrink my spleen. He said it was only effective in early MF. I am Jak negative and MPL 515k +, and Pegasys has stopped bone pain, helped shrink my spleen, and reversed my hip pain. I do take it in combination with Jakafi, but I did see these results before I started the combination. I know of several Jak negative MF responders besides me, and since this study did not know the mutational status of the Jak negative patients, it only tells us that Jak2 + patients seem to respond well. Non responders may progress as MF usually does, but we can’t say they are harmed in any way. So I’m not sure why Silver released this. Is he now against Interferon for Jak negative patients? What would he tell me if I went to see him now? Why not test his 12 patients for other mutations? Interesting that the article states “Cytogenetic analysis documented a normal karyotype in all cases” Isn’t this a bit unusual that all had a normal karyotype? What happened to the disease stability that Pegasys promised? Why is stability no longer a goal for drug trials? I would love to see reversal of fibrosis and improving counts, but I’m happy with the stability that I have. The article’s doctor question email didn’t work….can you forward this to the doctor’s questions department? :-) Thank you! Lacey the MPNclinic is published only sporadically but you have access to all the prior questions and answers indexed at https://mpnforum.com/six-clinics-index/ You can also open that page and do a search for Fatigue (Control F) and page through dozens of questions and responses on that and related symptoms. Mostly, however, you need a trusted MPN specialist who can provide you an experienced workup, examination and help you sort out your path forward. Many with ET live perfectly normal, long lives. I am seriously concerned that your hematologist considers fatigue not to be a “normal” debilitating and serious symptom. It’s as if he or she had never seen any of the important work done in this area by Dr. Ruben Mesa, Dr. Robyn Scherber and others. And while your platelet levels are not necessarily dangerous most hematologists would treat at the 1 million or 1.5 million level with a short course of HU or anagrelide. Your low dose aspirin is a basic standard for prevention of thrombosis or hemorraghic events but you do need to clearly understand what’s happening in order to figure out a therapeutic plan. If it’s possible maybe you could consult with a known MPN specialist with deep experience and a hematopathology department that has seen many MPN cases. Thereafter you can be cared for by a local clinician who might periodically consult with the specialist as needed. And yes, CRISPR is coming, perhaps in two or three years? The MPN Research Foundation and MPN Genetics are sponsoring a seminar at ASH in December bringing together hematologists, transplant specialists, biologists and genetic engineers to explore the use of CRISPR/Cas9 editing of stem cell transplant patient blood for autologous transplant. Work is already underway in CRISPR editing of HIV and sickle cell.